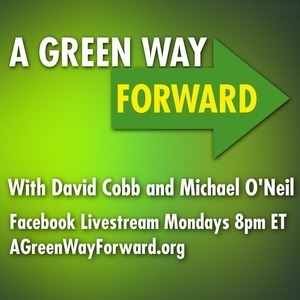 We found 4 episodes of A Green Way Forward with the tag “green campaigns”. https://www.camachoforwistatesenate.com/ A daughter of Wisconsin and an enrolled citizen of the Prairie Band Potawatomi Nation running for 2018 WI State Senate in District 31. Episode 30: Zerlina Smith For Chicago "Aldermanic"
With the Green Party of New York's ballot status on the line, Howie Hawkins takes another crack at Governor Cuomo.